Well IFK G�teborg certainly intend to. This weekend they are having a training camp in next years 10Mila terrain. IFK G�teborg were second in the 10Mila last year, with GBR international Jamie Stevenson on last leg bringing them up from 6th. 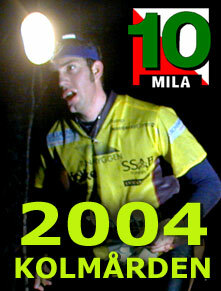 Last yeer the leading teams went round so fast that the last leg runners started with headtorches! Now that is a good team, the Real Madrid of orienteering. What other teams will be looking for glory?